Companies recognize the importance of managing their construction and quality processes but implementing a solution suitable for all these processes, both in the office and in the field, is a challenge. InEight Document delivers a cloud and mobile based solution designed to manage your RFIs & Submittals, capture and track your defects, collect and organize your project photos, generate and execute your checklists all within context of your project or individual lots. I’m contractually obliged to turn RFIs around on time. I can’t afford to waste time dealing with the headaches of finding, sharing and coordinating the information. We need to focus on the actual review process. We are the owners of the project; yet, we don’t have a full visibility into what’s going on. We need an accurate, up to date and easily consumable status of OUR project. I have a very short window to complete the project punch list. If I’m spending all my time following up with trade contractors, pulling photos off smart phones and reentering hand notes, there is no way I can get done (and paid) on time. My team does a great job of taking pictures on the project site, but all the photos are trapped on their smart phones. I don’t have an easy way of capturing and managing them in single searchable archive. 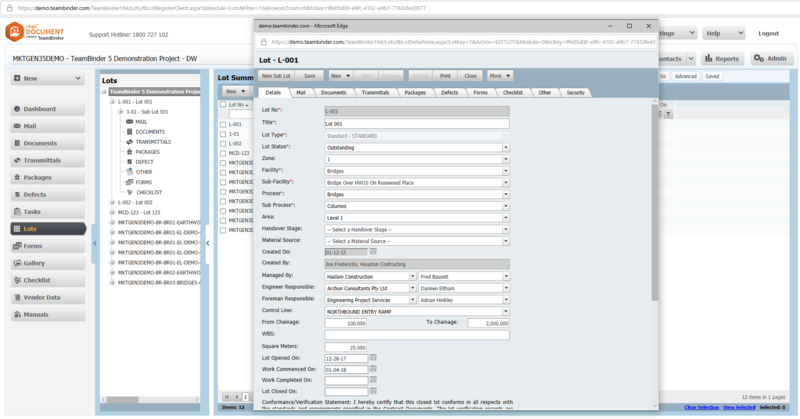 Leverage configurable workflow forms for reviewing and approving document-based workflows like RFIs, submittals and invitations to bid. For each process, define the captured data, reviewers and workflow steps necessary to execute the required review-and-approval process. The challenge of defect management. Take a picture on your smart phone, scribble down a note, fill in a spreadsheet, manually compile entries, send off emails with Excel attachments. The defect management process is fraught with inefficiencies and duplicate data entry, with teams typically wasting 30-40% of their time on unproductive and redundant activities. 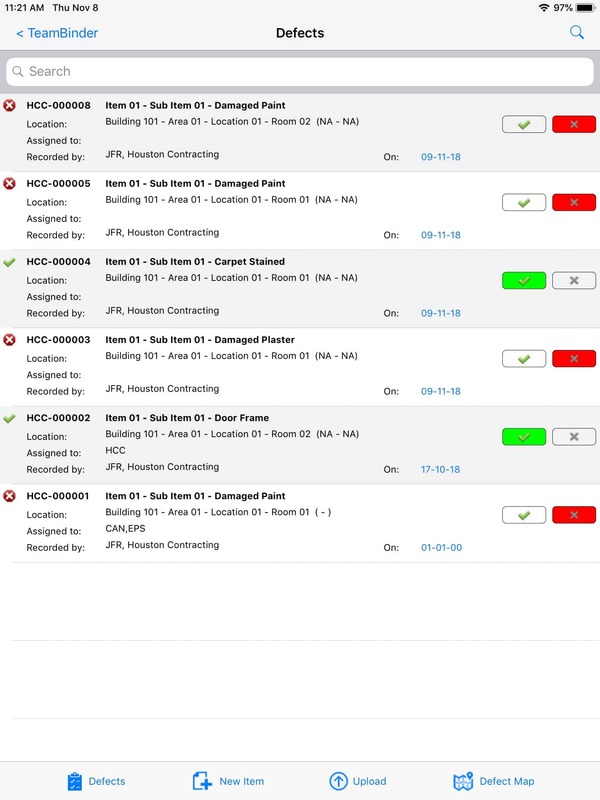 The InEight Document Defects module provides a mobile and browser-based solution for structuring, recording, compiling, assigning, tracking, resolving and verifying project defects. Digital photography has greatly increased the number of photos you need to manage. 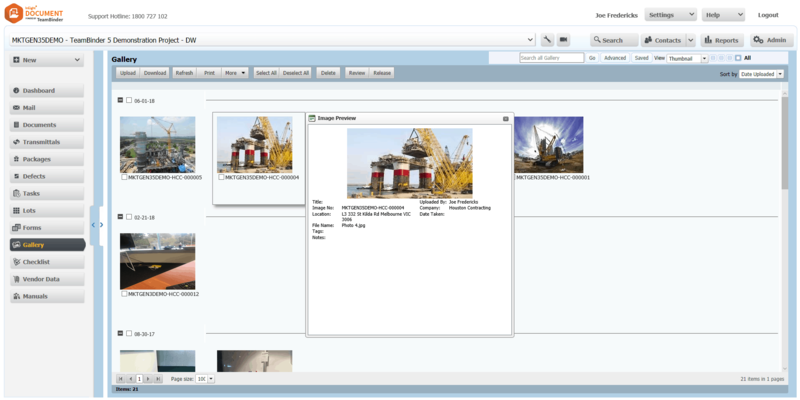 The InEight Document Gallery module assures the avalanche of project photos is locatable, viewable and relatable to their relevant projects and other project items. 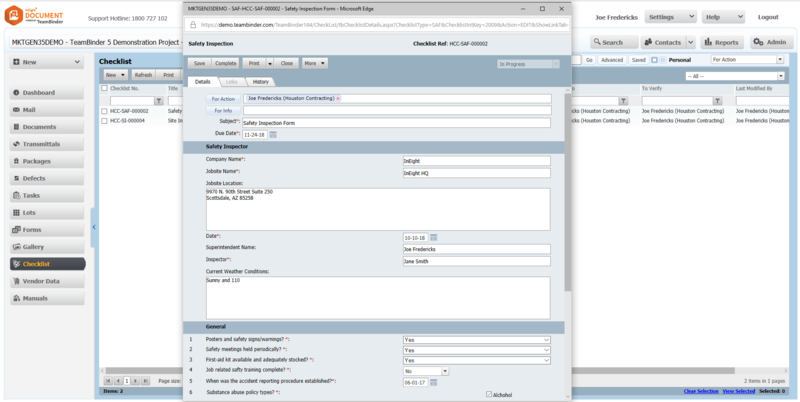 Define custom checklists for systematically capturing information in the field or at the office. 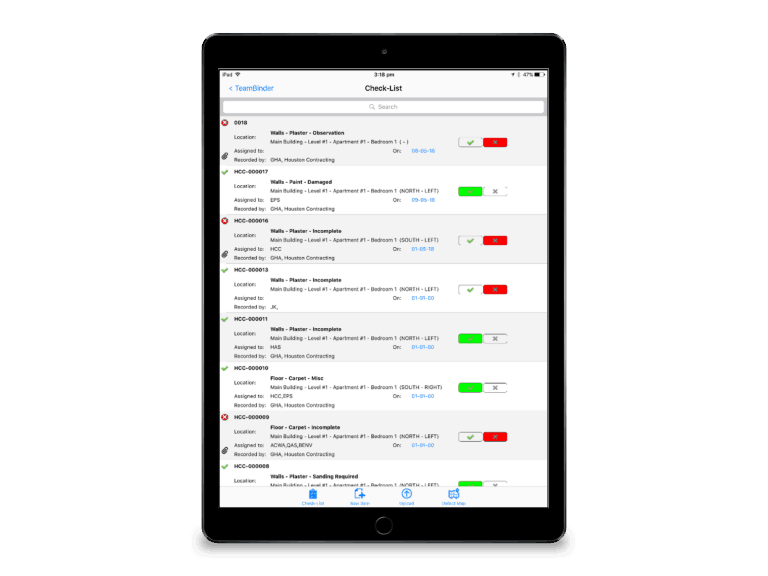 The configurable creation tool assures teams are creating the forms they need to maximize safety and adhere to project standards wherever their work takes them. 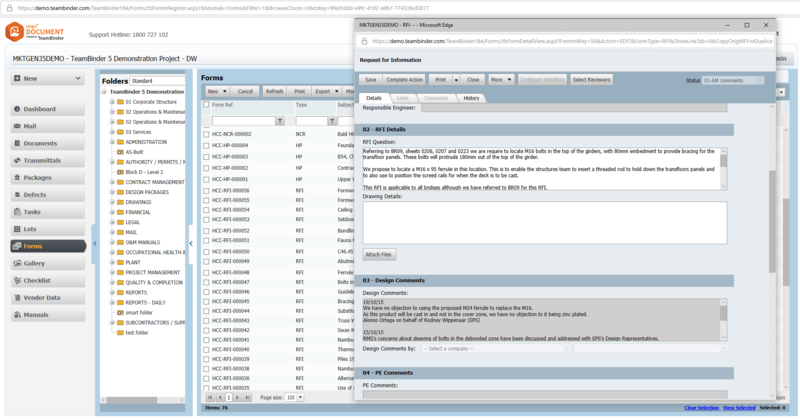 InEight Document’s Lot Management Module enables the streamlined management of quality processes and project progress on segmented projects while the close out of lots. Hold points, witness points, test requests, ITPs and other quality documents are managed within a secure environment, facilitating the highest levels of control from inception of the lots to their close out, while maintaining a rigorous audit trail.